The Saxon Injection Blade Coating Machine. Saxon Tissue Machine includes Suction Cylinder Tissue Machine and Crescent Former Tissue Machine. Suction Cylinder Tissue Machine is manufactured by the company. It has features a concise and reasonable structure, small footprint, high pulp adaptability, high efficiency and energy saving. It passes the appraisal of New Products and can replace similar imported equipments. The Technical Center (based in Italy) is responsible for the design and process of Crescent Former Tissue Machine which has reliable performance and high quality. Double Wire Air Borne Drying Pulp Machine makes a breakthrough in domestic special commercial pulp producing equipment. Their high efficiency, energy saving, high quality, small area occupation and low investment bring significant economic benefits to customers. The company has world-class manufacturing technology for its High-speed Winder. 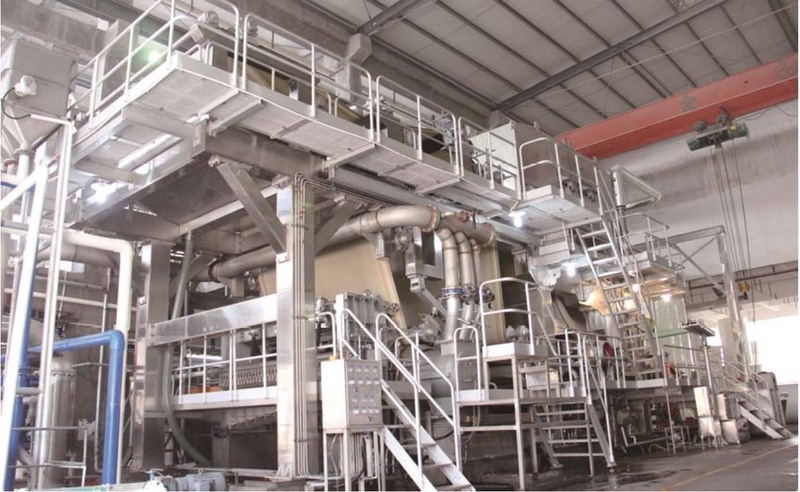 More than 30 sets of pulp machines and 40 sets of winders have been supplied to the market. Saxon High-speed Tissue Machine, Double Wire Air Borne Drying Pulp Machine, High-speed Winder and Injection Blade Coating Machine performance reaches international level, and they can substitute for similar imported ones.